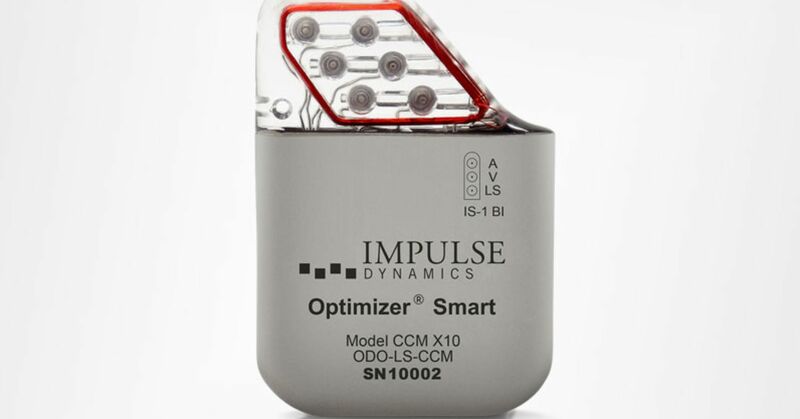 The Optimizer Smart System, created by Impulse Dynamics, monitors heart activity and delivers non-excitatory electrical signals to the right heart valve. The system allows for patients to seek treatment for moderate-to-severe heart failure after standard treatments failed. In the U.S., about 5.7 million people suffer from heart failure, according to the Centers for Disease Control. About half of those diagnosed die within five years. “These are patients who have a marked limitation of physical activity and who remain symptomatic despite receiving optimal medical therapy,” according to an FDA release. Cardiac resynchronization therapy is a common treatment, aside from medications and lifestyle changes, but isn’t suitable for about 70 percent of patients with moderate-to-severe heart failure, according to a release from Impulse Dynamics. The OSS includes a pulse generator that’s implanted under the skin, a battery charger, programmer and software. The generator then “delivers electrical impulses to the heart during regular heartbeats to help improve the heart’s squeezing capability,” according to the FDA. It’s similar to a pacemaker but different in function. Unlike a pacemaker, which regulates the rhythm of the heart, the OSS strengthens the muscle contractions. As a result, the device can improve the patient’s quality of life, their performance on a six-minute hall walk distance test and their functional status compared to those who only took medications. 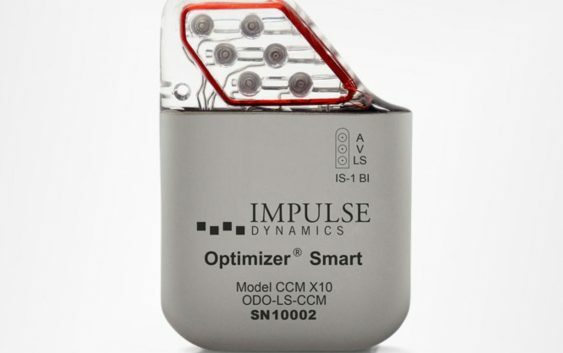 “(It) represents a real game-changer for these patients,” said Dr. William Abraham, professor at the Ohio State University Wexner Medical Center, in a statement for Impulse Dynamics. The company is expected to launch the device in the United States this year. It’s currently implanted in over 3,500 patients in Europe, China, Brazil and India, according to Impulse Dynamics.